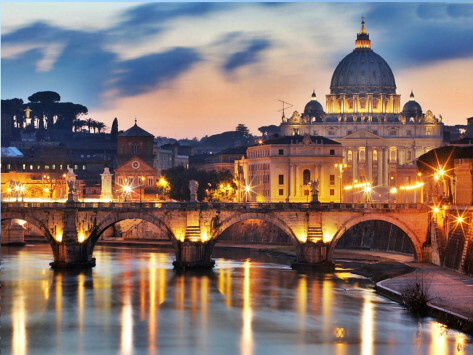 From 19 to 25 November, during the “Week of the Italian Cuisine in the World”, a series of promotional events of the Italian taste are held all around the world. This year is the third edition of an international large-scale event, which includes all the great themes of the Italian Agri-food1: quality, sustainability, culture, food safety, right to food, nutrition education, identity, territory, and biodiversity. The Italian Cuisine is explained through different types of initiatives, from seminars and conferences to tastings and dinners, from cooking classes to the screening of films on the theme of food, from photographic exhibitions to concerts. In Canada, the theme of Italian Agri-food business is strongly felt, not only in terms of international trade but rather as a cultural factor. The Italian Chambers of Commerce in the world open their doors to these promotional events, offering a meeting point for the curious and lovers of Made in Italy food, but also for the operators in the agri-food industry. 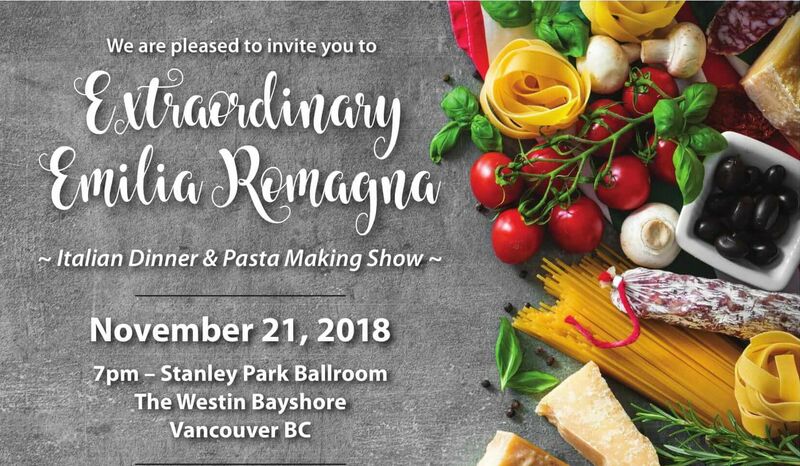 For this reason, we note the presence in Canada of a series of events specifically dedicated to Emilia Romagna for its Food & Beverage Excellence and the innovation in food production. 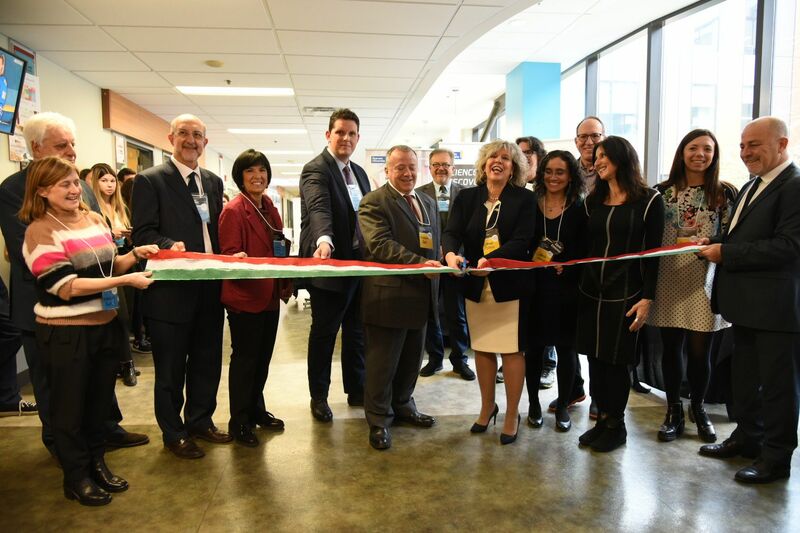 The start at the Week of Italian taste for Emilia Romagna was given in Toronto with the ribbon cuts at the Ryerson University, in the presence of the Italian Consul in Toronto, Eugenio Sgrò. During the launch event, dedicated to agri-food innovation, the Canadian University signed a collaboration agreem ent with the Future Food Institute of Bologna2, to develop research programs and common initiatives that also involve the world of schools, businesses and of startups (like Cooki, the Bologna start-up specialized in the monitoring of allergens in the agri-food sector). The theme of innovation is an increasingly competitive factor in the markets as well as a tool to push on food safety and environmental sustainability, which sees the region of Emilia Romagna region in the front row: 50 million euros available resources between 2014 and 2020 that allowed the creation of 93 operating groups between farms and research organizations. The promotion of the Emilia Romagna Region products was characterized by taste business events, presentation, and exposition of the products themselves, through a partnership with Loblaws, the leading supermarket chain in the Canadian market. Saturday 17 and Sunday 18 November, in fact, there was a rich program of wine tastings in the days of maximum inflow of supermarkets, in the presence of a testimonial of excellence, Francine Segan, food and wine journalist ambassador of Emilia-Romagna cuisine in the Anglo-Saxon world. 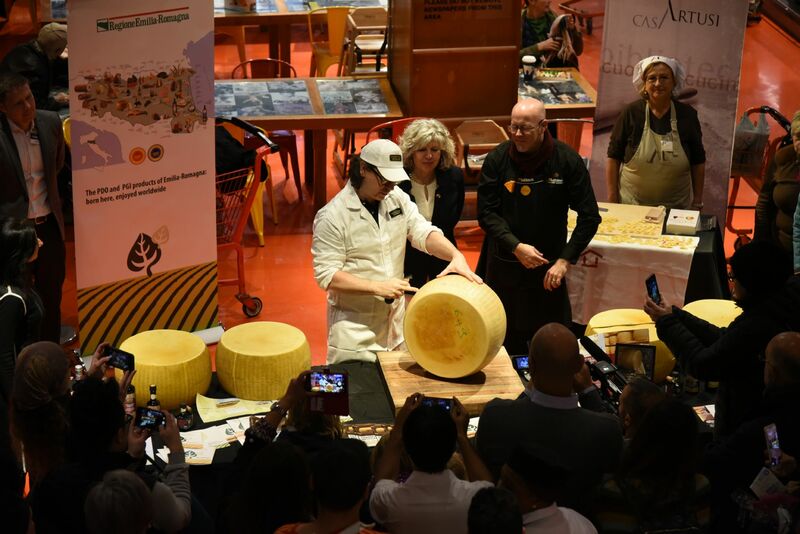 The great festival dedicated to the flavours of Emilia Romagna has culminated with the opening of a wheel of Parmigiano Reggiano cheese, one of the most appreciated and exported to Canada, the symbol in the world of the best made in Italy. “Being here is a great opportunity to present our excellences. We want to support the internationalization of our companies and strengthen the institutional relations with this great country”, said Simona Caselli, the Regional Minister for Agriculture, Hunting and Fishing in Emilia-Romagna. 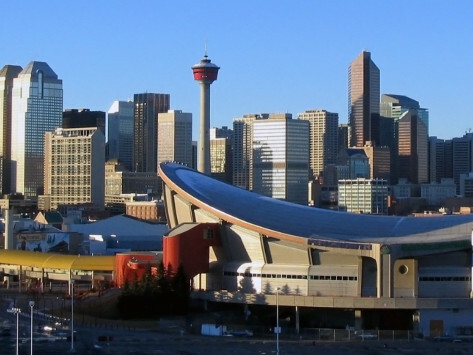 For this reason, during the mission in Canada, which also includes the cities of Montreal, Ottawa, and Vancouver, there are also several B2B events in collaboration with the Italian Chambers of Commerce in Canada, to further strengthen the opportunities for exports to companies in Emilia-Romagna. Thanks to a trend that in 2017 has seen sales of over 106 million euro (+ 14.3%), an increase of 5.7% even in the first six months of the 2018. In Toronto, Monday 19 Nove mber, the first of the meetings with the Canadian Wine Monopolies, government agencies that manage the local sales network. 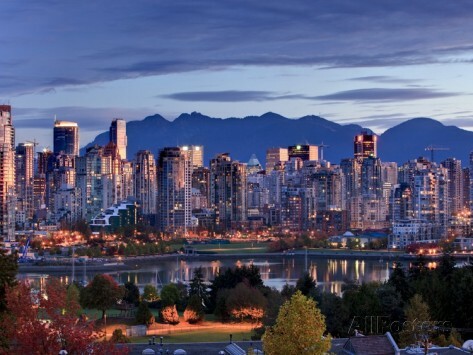 In this and the subsequent initiatives of Montréal on 20 and Vancouver on 21 November, the program of investments of the Enoteca Regionale will be presented, which can count for the biennium 2018-2019 on 1.4 million euro. “After New York and China as the destination of our initiatives during the Week of the Italian Cuisine in the world, we chose Canada, a market with attractive growth potential. This mission is also an opportunity to take stock of the state of application of the CETA, one year after its provisional entry into force, in particular for the agri-food sector, the second production sector in Emilia-Romagna. A sector that creates income, development and employment and we want to support it alongside companies in the world. Trade, food safety, but also the development of more environmentally friendly production techniques are the main themes of our agenda”. 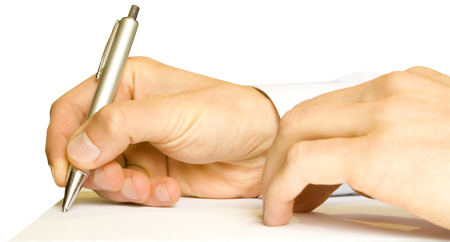 In fact, the CETA, the free trade agreement signed between the EU and Canada, in addition to abolishing most of the customs duties in different areas, introduces the recognition and protection of geographical indication in several European products. At the momentthere are twelve products of Emilia-Romagna. Seven PDO: Traditional balsamic vinegar Modena, Culatello di Zibello, Parmigiano Reggiano cheese, Grana Padano cheese, Prosciutto di Parma, Prosciutto di Modena, Provolone Valpadana. Five Igp products: Balsamic vinegar Modena, Cotechino Modena, Mortadella Bologna, Pesca and Nettarina di Romagna, Zampone Modena. Among the objectives of the mission in Canada, there is also that of verifying the opportunities and the criticality of the agreement, with particular attention to those still unrecognized Emilia-Romagna Agri-food specialties. 1 – In compliance with the Plan for the extraordinary promotion of Made in Italy and the Strategic Tourism Plan (2017-2022), actions envisaged by the Government for the support of the Italian agri-food industry and tourism services. 2 – Founded in 2014 by Sara Roversi in Bologna, the Future Food Institute is today a network of companies and research centers that makes food innovation an instrument to face the challenges of sustainable development. A platform, from the ground to the table, which has started international collaborations from the United States, Spain, China to the Emilia-Romagna region.